ThrillingAudio is an Authorized Internet SpeakerCraft Dealer. 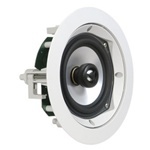 SpeakerCraft products purchased from ThrillingAudio are genuine, factory-new, and carry the SpeakerCraft warranty. 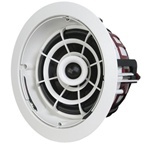 WARNING: The SpeakerCraft warranty is ONLY valid on products purchased from an authorized SpeakerCraft dealer. If you ever have a warranty issue, SpeakerCraft will require you to provide the original proof of purchase from an authorized dealer. 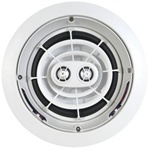 BEWARE of unauthorized websites selling SpeakerCraft products! 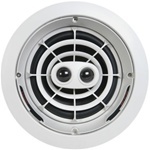 �The products offered are likely stolen, counterfeit, used, or damaged and have no warranty from SpeakerCraft. �If the product's serial number has been removed, defaced or changed, the product's warranty is also void. 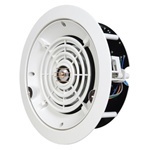 *Lifetime Speaker warranty applies to specific SpeakerCraft speaker lines. Please see each product for details on which SpeakerCraft Warranty applies (Lifetime, 5 Year, or 2 Year). The CRS6 Zero speaker is equipped with pivoting tweeters, which allow you to direct the sound toward, or away from, a listening area to achieve a desired effect. 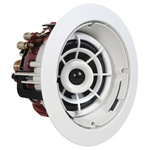 SpeakerCraft's Whole House Audio WH5.2R in-ceiling speakers offer high performance and great appearance at a surprisingly affordable price. 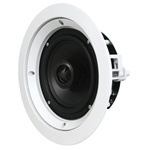 The Whole House Audio speakers are perfect for production homes, commercial applications, or rooms that require only background music. 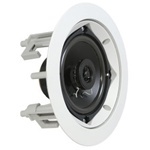 The CRS 5.5R features three two-way speakers and is designed specifically for in-ceiling applications. The AIM5 One features fully pivoting woofers and independently pivoting tweeters, allowing the entire speaker to be aimed toward the listener. The AIM7 DT One is a single speaker that plays both left and right channels, with the addition of being able to pivot the entire speaker and aim it toward the listening area. The AIM5 Three features fully pivoting woofers and independently pivoting tweeters, allowing the entire speaker to be aimed toward the listener. The AIM7 Two features fully pivoting woofers and independently pivoting tweeters, allowing the entire speaker to be aimed toward the listener. The AIM7 DT Three is a single speaker that plays both left and right channels, with the addition of being able to pivot the entire speaker and aim it toward the listening area. Features a switch on the baffle and behind the grill that allows you to select multiple taps for 70/100 operation or to bypass the transformer entirely and use the speakers in 8Ω mode. 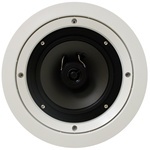 The CRS6 Four speaker is equipped with pivoting tweeters, which allow you to direct the sound toward, or away from, a listening area to achieve a desired effect.